Swack, to deal a heavy blow; akin to the vulgar English whack, to beat severely; a swashing blow, a heavy blow; etymology uncertain. The Teutonic schwach, has an opposite meaning, though there may be some connection of idea between a heavy blow and a blow that weakens him on whom it falls. "When they encountered you on the way, and you were tired and exhausted, they cut off those lagging (hanecheshalim) to your rear"
This is the view of Steinberg as well. Interestingly, from this sense of חשל we get the opposite of weak. Klein writes that the Aramaic and Akkadian "to crush" led to Hebrew "to forge, hammer, shape, mold", which in Modern Hebrew became "to strengthen". 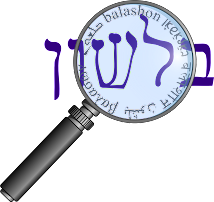 or "weakened", taking the root h-sh-l חשל as a metathesized form of h-l-sh חלש, "be weak"
This is the view of Ibn Ezra, as well as Klein, who does not connect the two senses of חשל at all. An additional theory is proposed in a footnote to the Ibn Ezra in the Torat Chaim edition by Asher Weiser, that נחשל could be related to נכשל / כשל - "stumble, fail, be weak (see Tehillim 31:11)". Kaddari quotes this view as well. So again, we have what appears to be one root - חשל - with opposite meanings - weak and strong. But a careful examination of the development of the meanings shows that this isn't some unusual phenomenon in Hebrew where words take on opposite meanings, but rather an understandable evolution of meaning that appears in many languages.